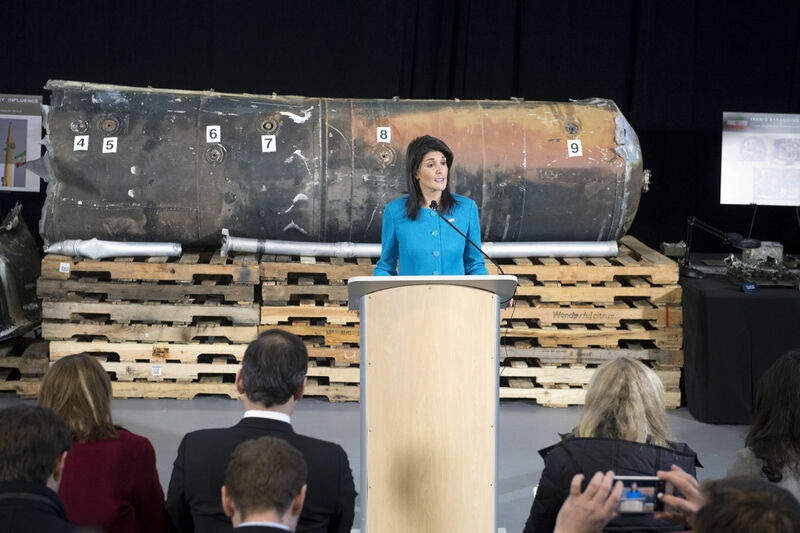 US envoy to the United Nations Nikki Haley made a presentation at Bolling Air Force base in Washington, D.C. to provide evidence that Iran had supplied short-range ballistic missiles to Houthi rebels in Yemen which were then fired at Saudi Arabia. 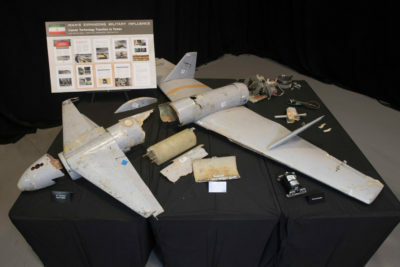 Department of Defense (DOD) officials accompanied Haley for the presentation, which was made against a dramatic backdrop of broken up missiles, drones, and other weaponry to highlight Iran’s growing influence in regional conflicts. DoD photo by EJ Hersom. Trump administration hopes the evidence will trigger further action against Iran. The Kingdom of Saudi Arabia welcomed the report “as well as the US condemnation of Iran’s hostile activities that support and arm terrorist groups, including Hezbollah and Houthi terrorist militias,” according to the Saudi Press Agency. “The Kingdom renewed its condemnation of the Iranian regime for supporting its affiliate, Houthi terrorist militias, in their aggressive and terrorist practices, their coup against legitimacy, their destruction of state institutions, their brutal suppression of the Yemeni people, their plunder of the Yemeni people’s resources including humanitarian aid, their seizure of oil imports to support and finance their terrorist campaign, their threat to the security of sea lanes, their attack on Saudi Arabia’s territory and their launch of ballistic missiles on populated cities with the support of Iran,” the SPA said.